a most terrible, horrible, WONDERFUL thing has come to my attention! 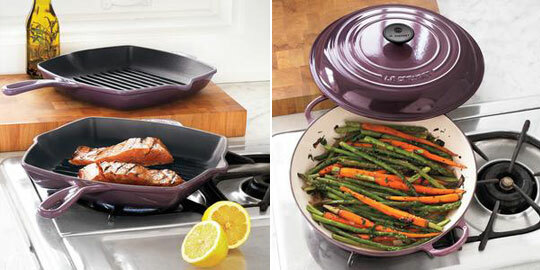 le creuset is now making PURPLE wares! specifically, the color cassis, a dark greyish sort of purple that is available at sur la table. fortunately there is one not too far from here, so i’m going to go check it out. ps- i actually wrote le creuset a letter 3 years ago begging them to make a purple color, and now i just cannot explain how ecstatic i am! hopefully it’s hideous in person so i don’t have to go further into debt buying all of it.